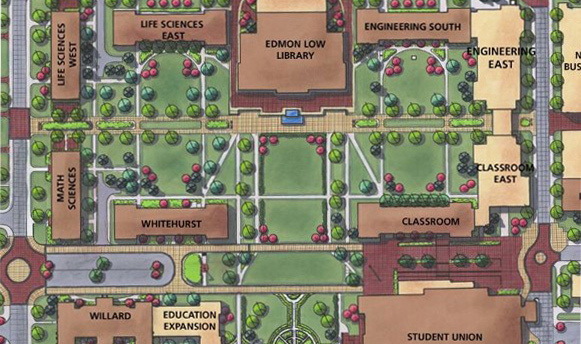 Benham completed the development of a 20-year comprehensive campus master plan for Oklahoma State University that is tied directly to the OSU Strategic Plan. As a land grant institution with approximately 22,000 students, thousands of acres of land are under the University’s control. Our responsibilities encompassed comprehensive planning, transportation recommendations, communications analysis, infrastructure evaluation and costing. In developing the proposed plan, Benham incorporated the results of previous plans, meetings, and interviews, as well as conducting several major charrettes and planning workshops. 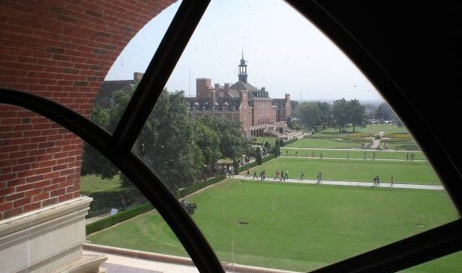 This dynamic process involved over 30 appointed ‘stakeholders’ including, students, faculty, staff, administrative personnel, Stillwater City staff and private sector businessmen. Creativity and experience from diverse participants insured that a multitude of approaches were examined. The development of consensus among the team members was critical to the establishment of a strong base of support for the plan. Considerations included new and proposed capital improvements, space needs, department needs, acquisition of land adjacent to the main campus and the potential for future growth. Visionary images of the future campus were melded with realistic scope and cost constraints to ensure that the plan could be implemented. 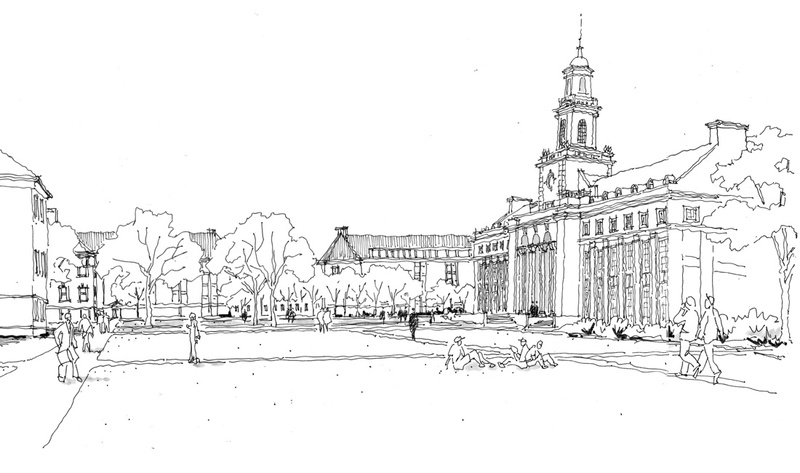 Finally, the plan strongly suggested the establishment of a Long Term Planning Department to guide OSU in the development of all future facilities and to adapt the plan to changing conditions. This has been done very successfully and, we feel, as a great benefit to the entire OSU system’s continuing evolution.